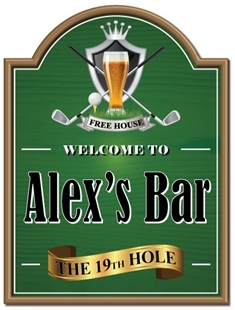 SP-00096 - Personalised pub joke golf sign - Golf lovers gift. 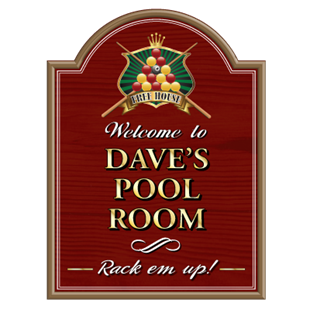 SP-00026 - Personalised Pool Room Bar Sign. SP00075 - Personalised pub sign with football and beer motif. Choice of colours and sizes. SP00080 - Personalised pub sign with dart board and beer symbol choice of colours and sizes. 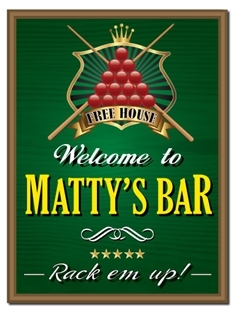 SP-00195 - Personalised pub sign with pool and billiards symbol choice of colours and sizes. 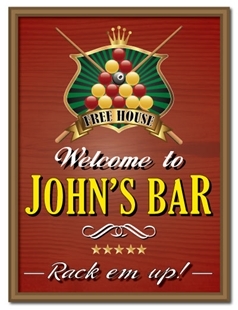 Personalised pub sign with snooker and billiards motif. Choice of colours and sizes. 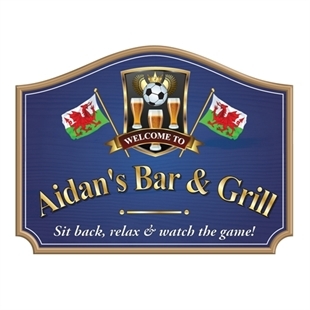 Welsh football home bar sign, with welsh flags. 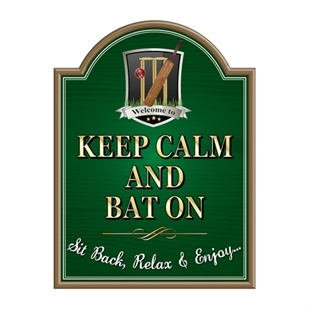 SP-00263 - Personalised Home Bar sign featuring a cricket theme. 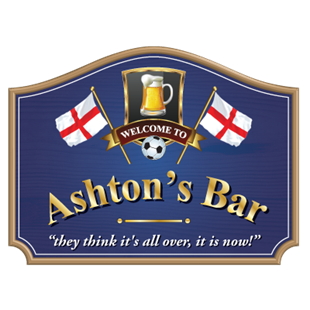 SP-00314 - Personalised Football home bar sign with a choice of colours and sizes. 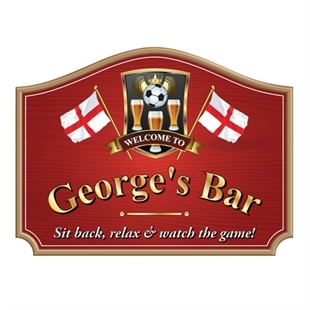 SP-00305 - Personalised Football home bar sign with a choice of colours and sizes. 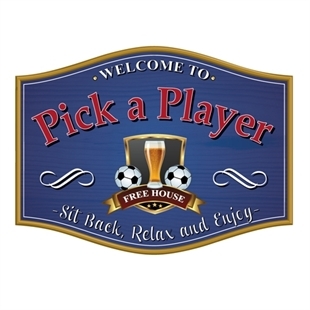 SP-00306 - Personalised Football home bar sign with a choice of colours and sizes. 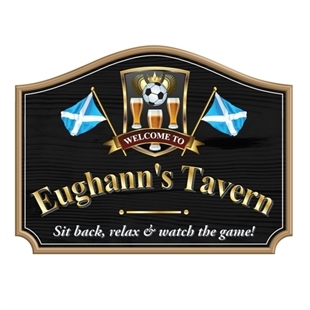 SP-00107 - Personalised english pub sign with glass and footballs with a choice of colours and sizes.